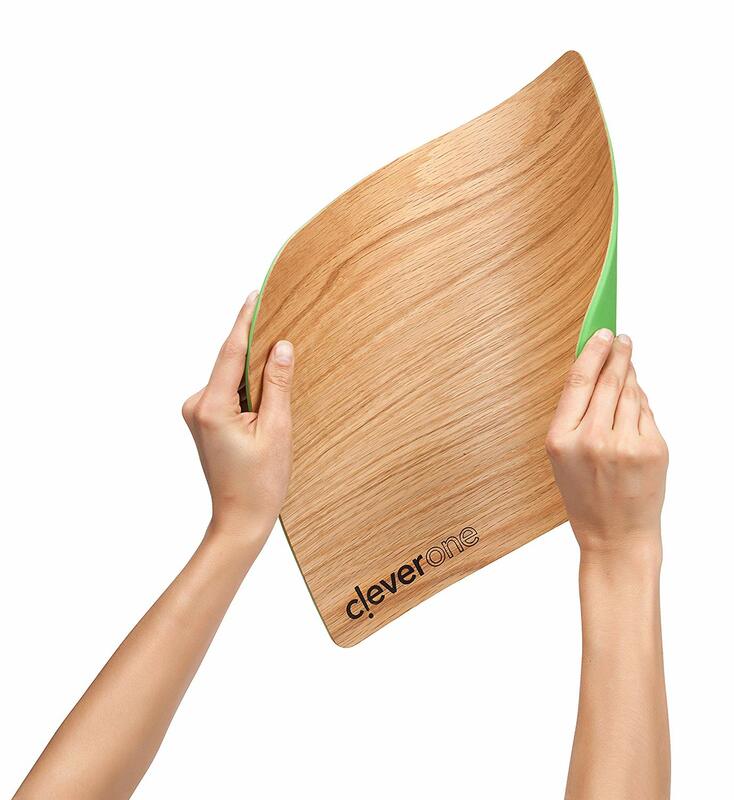 This Flexible Wooden Surface Cutting Board is very versatile and is unlike any other cutting board. It combines the flexibility of silicon with a real oak and walnut cutting surface. This is an innovative design that is a dream to use because it combines two great elements. A versatile board that you can use anywhere and a real wooden surface that is great to work on. It is easy to move prepared food from your cutting board to a plate or pan because of the flexibility of the board. Because this is a real wood surface the cutting board is not dishwasher safe and will need to be washed by hand. It is easier to clean than many other large kitchen cutting boards. This is because many cutting boards will not fit in the kitchen sink so that they can be easily cleaned, this one can. The non slip silicone backing is FDA approved and safe to use. You will love using it in your kitchen and it is also convenient for preparing food when you are camping. It can be transported easily and it can be used on most surfaces because it is so flexible. 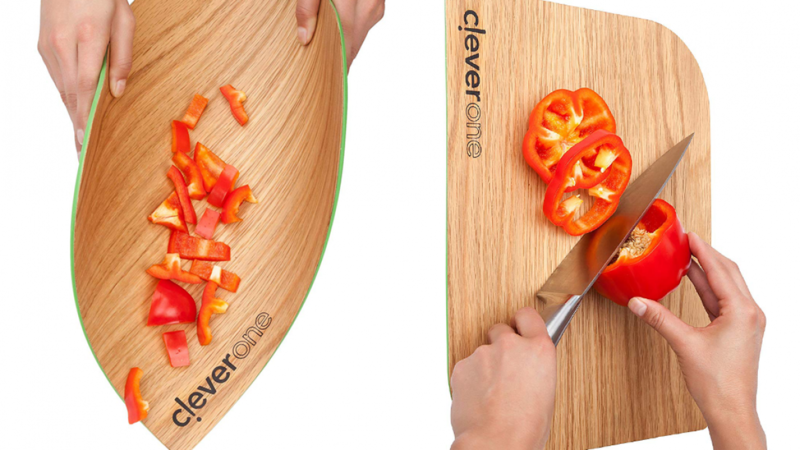 This is a great gift idea for anyone who is setting up a new kitchen because every kitchen needs a good cutting board. If you enjoyed checking out this amazing cutting board then you might like to check out the following.